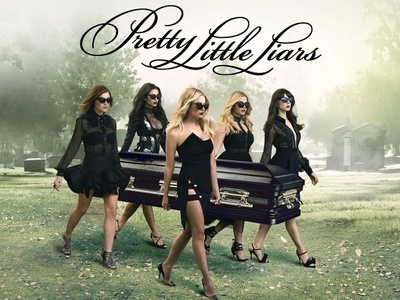 Based on a book, Pretty Little Liars follows four best friends (Spencer, Hanna, Aria & Emily) whose clique falls apart after the disappearance of their queen bee, Alison. Three years later, estranged friends reunite when they begin receiving messages from someone using the name "A" who threatens to expose their secrets - including long-hidden ones they thought only Alison knew. All your questions will be answered in the two hour Series Finale. The show had 7 seasons and 163 episodes air between 2010 and 2017. The Liars' secrets begin to quickly unravel. The Liars work together to get answers. 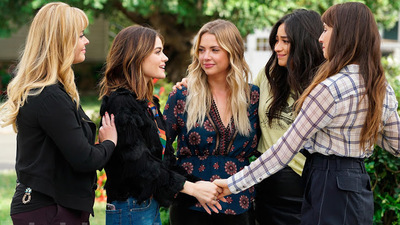 It was announced today what many fans of Pretty Little Liars had been suspecting for quite some time - that the the long-running mystery drama will be ending after its current season. In a Facebook liveinterview, creator I. Marlene King, along with the five main stars of the show, confirmed that the upcoming 10 episodes that comprise the second-half of Season 7 will conclude the series. 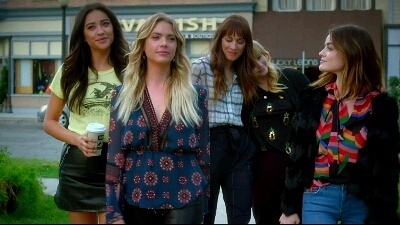 After tomorrow night's summer finale, PLL will be taking a mid-season break before returning in April 2017 with its final batch of episodes that King referred to as the "PLL endgame". With members of the cast calling the ending of the series "bittersweet", it was also promised that the show will be "going out with a bang" and will leave long-time fans satisfied by answering all their lingering questions.